She put up with me and my friend Mare so we could get a pic! Honestly, I'm pretty shy so if it wasn't for Mare we wouldn't have gotten a pic...lol! But luckily I surround myself with people who aren't so shy...lol! Anywho!! 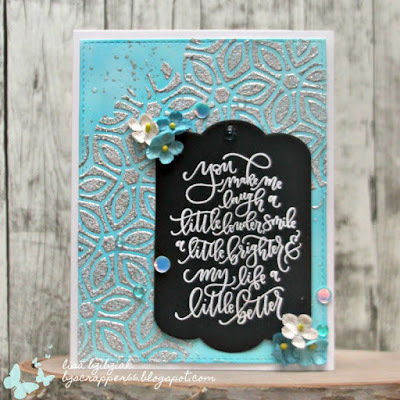 This challenge is all about the sentiments! And this set was perfect... the only problem was I had a hard time choosing which one to use so if time allows, I may make another before the month is over. 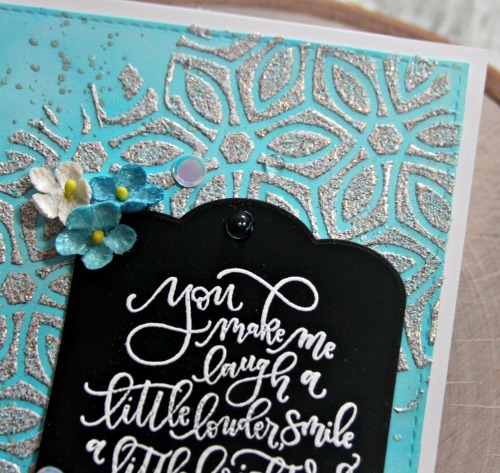 Not allowed to use a stamped image on the card at all, I opted for a pretty ink blended background, a stencil, some texture paste and some gorgeous WOW Atlantic Sea Spray embossing powder... SO pretty!! 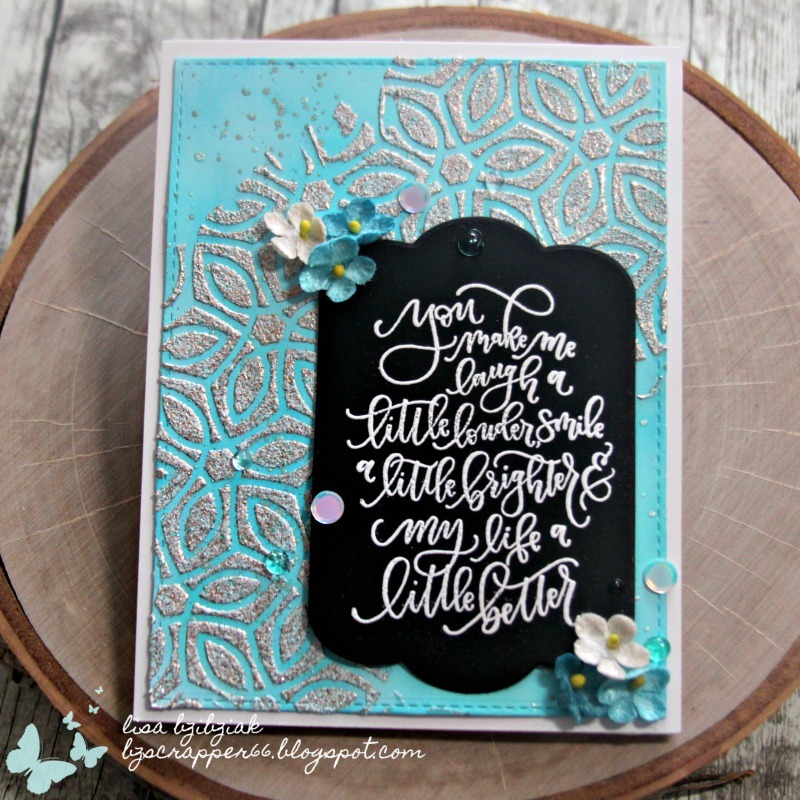 I used a blend of three different inks for the background... some Tumbled Glass, Peacock Feathers and Mermaid Lagoon. I had never used texture paste to emboss with before and this powder just was so cool to watch as I ran the heat over it... it literally moved like the ocean.. it was beautiful!! And is beautiful! I splattered some shimmery watercolors over the piece and set it aside to dry before adding the rest .. some pretty teal flowers that I need more of and can't find.. they're velvety... if anyone knows please tell me... some cool sequins from my LSS and beautiful acrylic bubbles in aqua and clear. It was a challenge for me to not use an image, BUT I love this!! Definitely want to make some more. 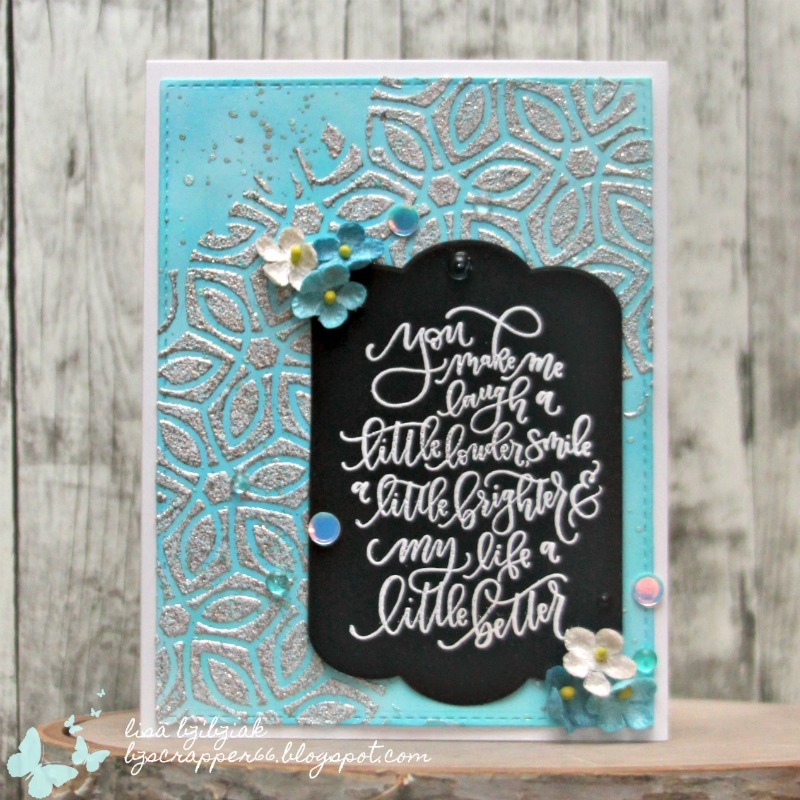 I'm also playing along with the WOW Embossing Powder January Challenge on Facebook to Aquas/Teal/Turquoise. 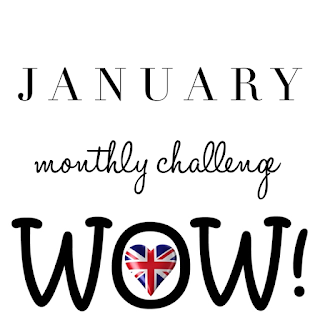 You should see that gorgeous challenge album in the Facebook Group... you will need to join the group to play along, but why wouldn't you??? Thanks for stopping! Please do come again soon! How cool was that, meeting GinaK herself...and a photo too! Lucky duck!! LOVE your background! So Pretty! 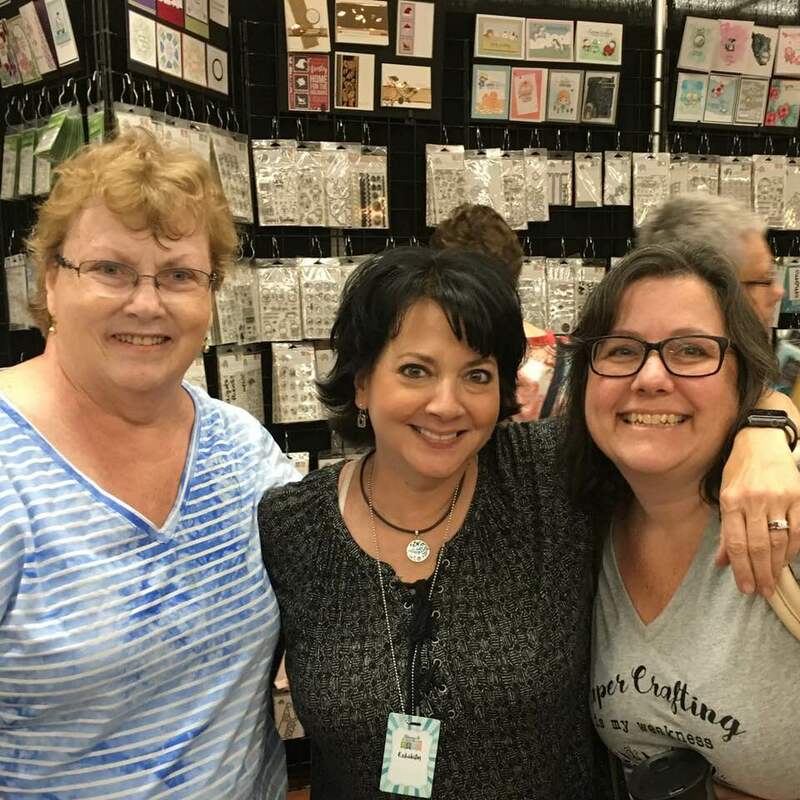 And what a great picture of you, Mare, & Gina! Lucky ladies! Super pretty! Love the texture and that sentiment is awesome. This is so gorgeous with that background. 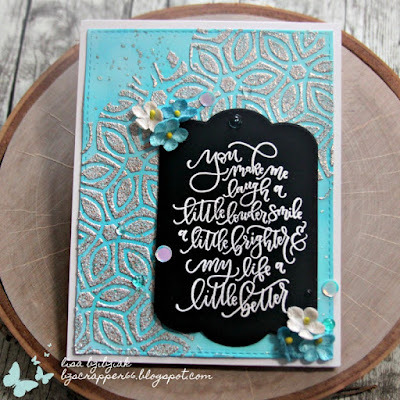 I love all the texture and little flowers too. And, the sentiment is perfect with it. Today I purchased the Tim Holtz Ideaology “Bouquet” flowers. They are white and somewhat velvety and can be colored. JoAnn has them in - store. 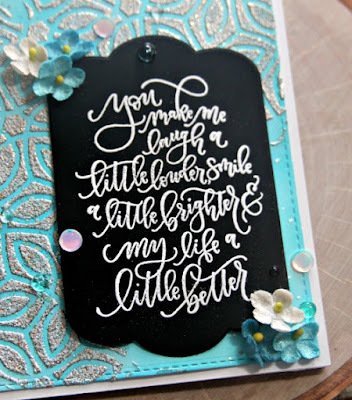 I love your card ~ so pretty!